It's Kelly from First Grade Fairytales, and I'm here with my favorite Georgia Peaches to share some Fall Favorites and a Freebie, too!! Plus, there's an awesome giveaway going on, so make sure you check that out at the end of this post! 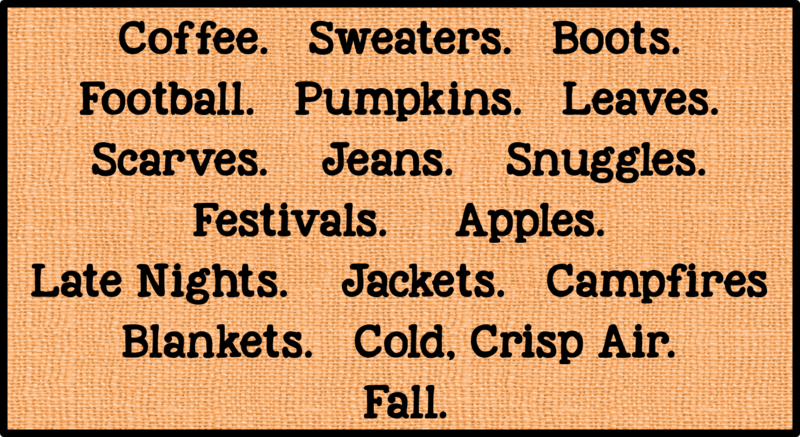 I don't know about you, but October is my favorite month and Fall is, by far, my favorite season. 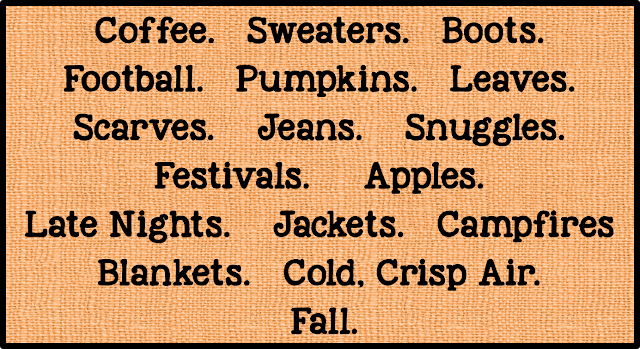 I love just about everything about fall...the smells, the sights, the weather. It just feels good, you know. There's nothing like the first cool night where it just smells like the end of summer. Ahhh... So, what are some of my Fall Favorites? You'll notice the first word is coffee. 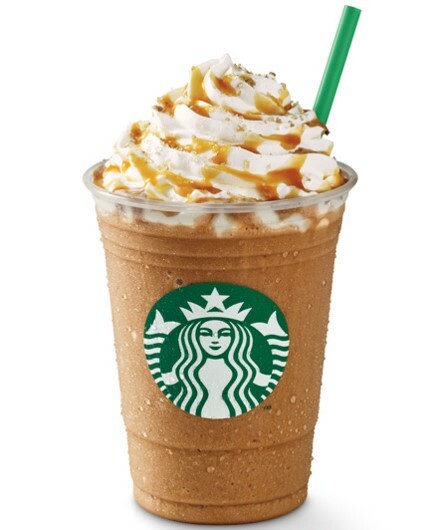 I love coffee all the time, but something about fall makes me crave this even more. 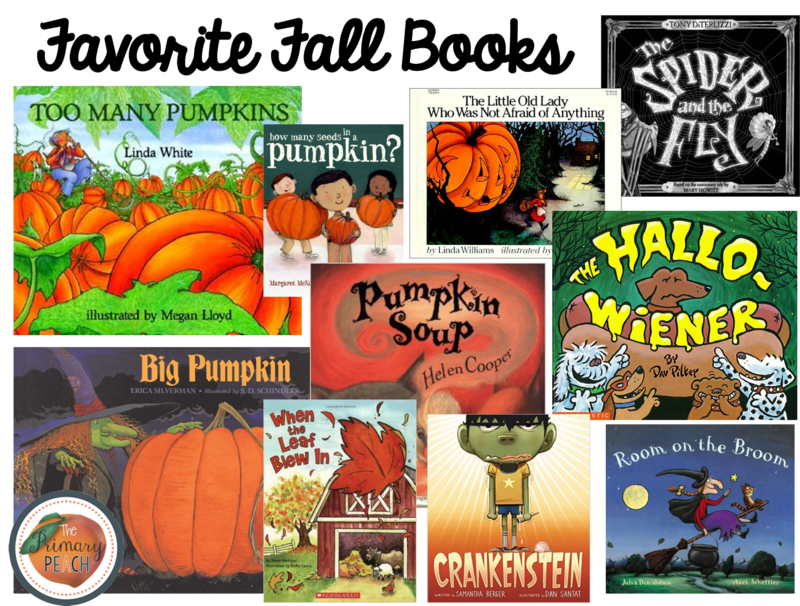 I also love all the Fall books I get to read with my kiddos. Books about pumpkins, leaves, apple harvest and Halloween are always favorites in my classroom. These are some of the titles I love using every single year. It's just such a fun time of year to teach! There are holidays and everyone is spending their weekends at pumpkin patches, apple festivals, state fairs, and doing all things Fall. In my room, we are currently working on parts of speech. More specifically, we are learning about adjectives. 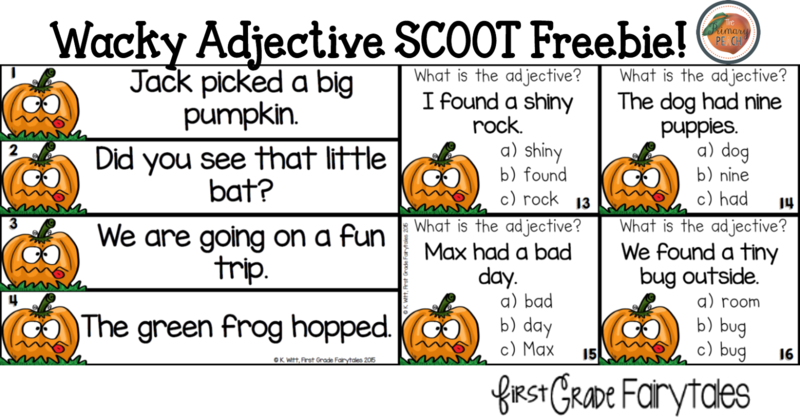 This time of year, you can use pumpkins and apples to really enhance your unit on adjectives because it's so easy to use your five senses to describe them. 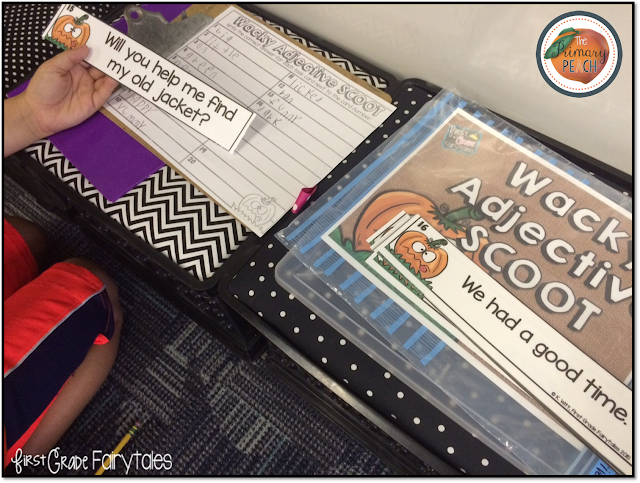 Using real life objects and real-word connections helps engage learners even more, and sometimes...there's snacks! Who doesn't love snacks?! 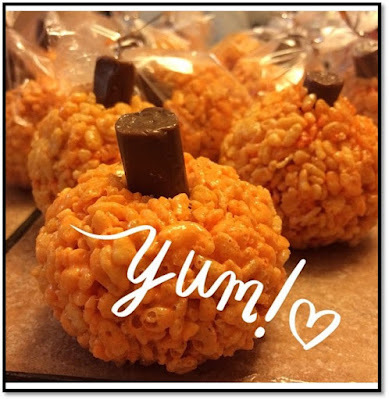 To make these little cuties, simply ate some orange food coloring to your normal Rice Krispie Treat recipe, roll them into pumpkin balls, and stick a tootsie roll in the top. The kids always go nuts for these! 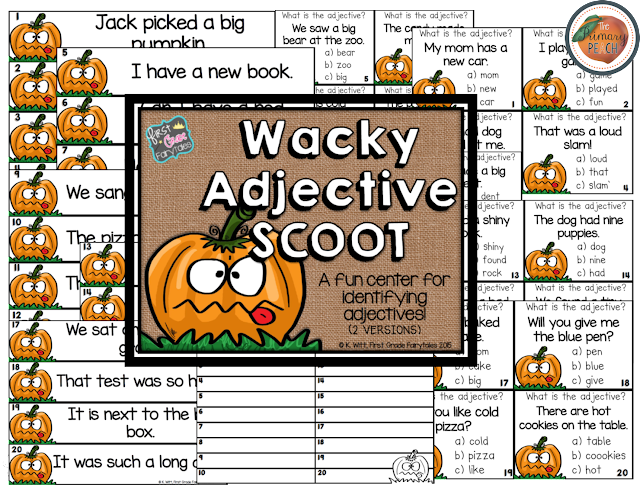 Since I love pumpkins...and I love adjectives, my freebie combines both. 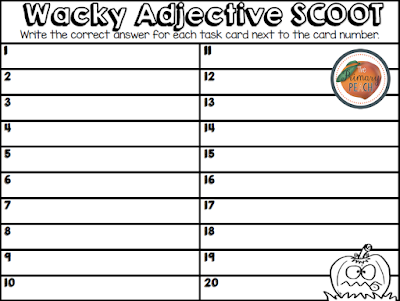 Here is a Wacky Pumpkin SCOOT game that can be used whole group or put out during centers. 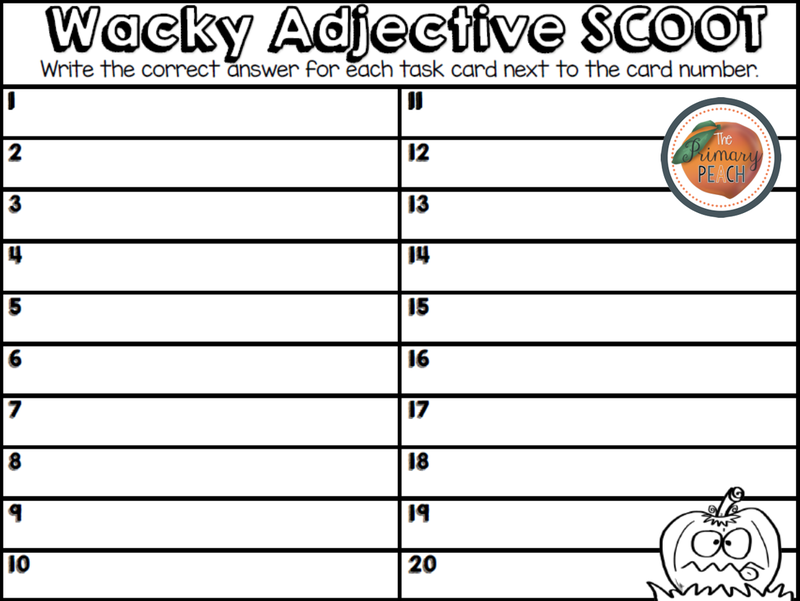 There are two versions - one with sentences that the students must read and identify the adjective, and another with multiple choice answers in a task card format. After playing the game of SCOOT with my kids, I put it at a center where students can review and work on this skill independently. They read each sentence, then write down the adjective in the correct numbered space on the recording sheet. 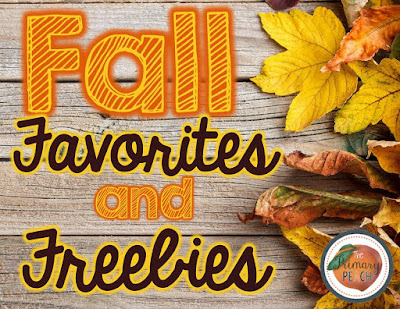 If you would like this FALL FREEBIE, just click the picture below to grab it in my TpT store! 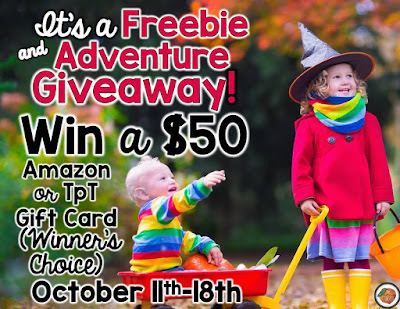 Before you go, don't forget to enter the Primary Peach Fall Giveaway!! 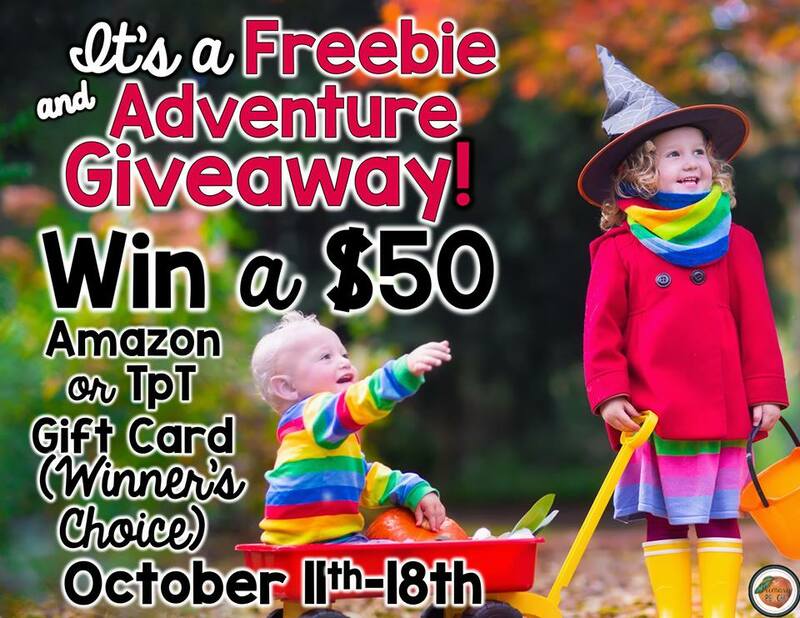 You can win a $50 gift card to Amazon or TpT, two of my favorite shopping spots! Just enter the Rafflecopter, and don't forget to come back. There is another giveaway starting the 19th, too! Enter today and don't forget to follow The Primary Peach on Facebook, Pinterest and Instagram. 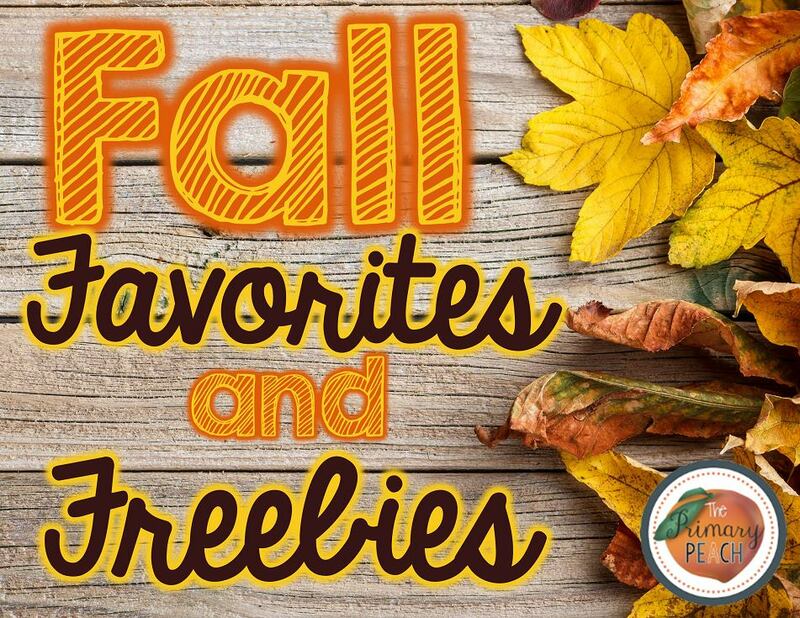 I hope you enjoyed reading about my favorites, and you like the freebie, too!! Happy Fall to you and yours, and thanks for stopping by!